The cause of angry dreams may have been identified by scientists. Having a more dominant left-side of the brain leads to angrier dreams, according to a study. Now neurologists have identified it as a ‘brain marker’ that can predict anger and other strong emotions in sleep. Scans revealed people experience angry dreams when the left prefrontal cortex of their brain is more active than the right. A strong left-side of the brain is usually associated with people who are more logical or mathematically-minded, whereas the right-side is linked with creativity and the arts. The study by University of Cambridge researchers along with colleagues from Sweden and Finland suggested the imbalance was also behind conscious anger. The findings, published in the journal JNeurosci (CORRECT), could also help understand the emotional content of nightmares – a distressing feature of many mental and sleep disorders such as PTSD. Analysis of brain scans on healthy volunteers showed angry dreams could be predicted by an imbalance between the right and left sides of the brain called frontal alpha asymmetry (FAA). Those who experienced greater ‘alpha-band’ power – associated with decreased brain activity – in the right frontal cortex than the left during the evening and sleeping sessions tended to report having angry dreams. The findings point to the neural signature being a “universal indicator” of how we regulate our emotions. Previous studies have linked FAA with anger and self-regulation during wakefulness. The study suggests people that experience left-dominant FAA could be less able to regulate and inhibit strong emotions that give rise to angry dreams. Study lead author Pilleriin Sikka, a PhD researcher at the University of Skövde in Sweden, said: “In conclusion, this is the first study on the relationship between discrete affective states in dreams and FAA. “Surprisingly, hardly any studies have related affective dream experiences – recalled and reported upon awakening – to the neural processes of pre-awakening sleep. “Results show that FAA during REM sleep as well as during evening wakefulness predicts Anger in dreams. “Indeed, it has been shown that expressing Anger is related to relatively greater left, whereas controlling Anger is related to relatively greater right, frontal activity. “FAA may thus reflect the ability to regulate emotions not only in the waking but also in the dreaming state. “These findings imply that affective experiences may rely on the same neural processes across wakefulness and REM sleep despite the different neurophysiological bases of these states. “It is important to note that the right pre-frontal cortex is involved not only in the regulation of negative affect, but in inhibitory control in general. “Numerous studies conducted in the waking state have demonstrated an association between greater FAA, i.e. relatively less right frontal activity, and states and traits related to disinhibition, such as aggression, impulsivity, sensation seeking, (positive and negative) urgency, response inhibition, and risk-taking behaviour. The findings were made from dream reports and brain scans from seven men and 10 women. They spent two nights in a sleep laboratory where they were woken up five minutes after going into REM sleep, during which dreaming is more likely. The participants completed a dream report, rating their emotions during it, which the researchers labelled their dream “affect” or “affective states” such as Anger and Interest. The group also underwent electroencephalography (EEG) brain scans two minutes before waking, and for eight minutes the evening before sleeping and morning afterwards. The link was not found with emotions like curiosity, which were labelled Interest in the study. Ms Sikka, an Oxford University graduate, said: “Specifically, the results suggest that FAA may serve as a neural correlate of affect regulation, i.e. 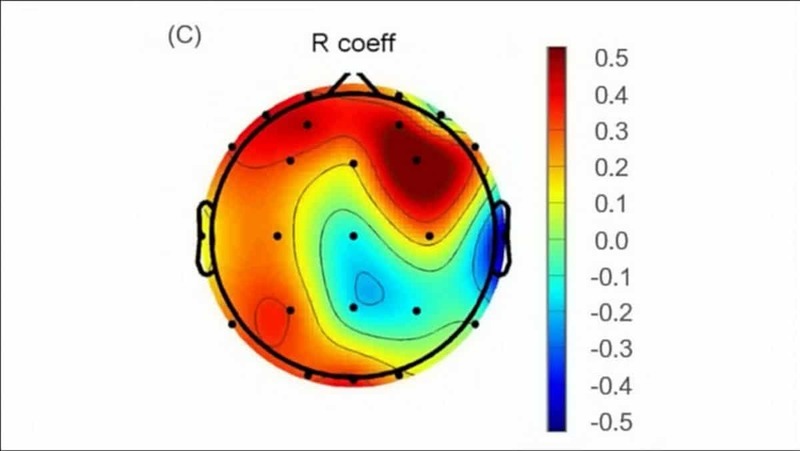 inhibitory control of affective processing, not only in the waking but also in the dreaming state. “Results showed that FAA during REM sleep predicted ratings of dream Anger: participants with greater relative alpha power in the right, as compared to left, frontal region experienced more Anger in dreams. “Because alpha power is taken to reflect reduced activity in underlying areas, and because the relationship was found to be specifically driven by the right hemisphere, the results suggest that Anger is related to reduced activity in the right frontal region. “This is further supported by the findings that the only other dream affect rating significantly correlated with REM sleep FAA was an item closely related to dream Anger—Hate/Distrust/Suspicion. “The finding that dream Anger – a high approach negative affect, but not dream Interest – a high approach positive affect, was related to FAA corroborates the theory that FAA reflects supervisory control, rather than affective valence or motivational direction. “As such, individuals with reduced right pre-frontal cortex activity (as indicated by more alpha power) may be less able to regulate (i.e., inhibit) strong affective states, such as Anger, not only during wakefulness but also during dreaming.